I've loved Stephen Fry since the days when I discovered the Blackadder series, so I had to have a listen to these audiobooks, even if the subject matter is a little boring. I doubt this will appeal to most people. It's about words and language, where they come from, what their meanings are, and why they exist. Writers and readers, that might be the limited audience scope for this. Series 1 deals with puns, quotations, metaphors and clichés. I have a love-hate relationship to all of these language forms. Hearing their origins and such was really interesting to me. However, even I found it hard to be fully engaged through out, so I can't imagine someone who's not interested in the wordsmith arts having any interest in this whatsoever. Fry does an excellent job guiding us through the many interviews and soundbytes used herein. The writing is quite clever as well. All in all, this is good stuff for the very few who go in for it. I'm a big PG Wodehouse fan and his Jeeves & Wooster series is my favorite of the many...lord have mercy!...the many books he wrote over a long career. 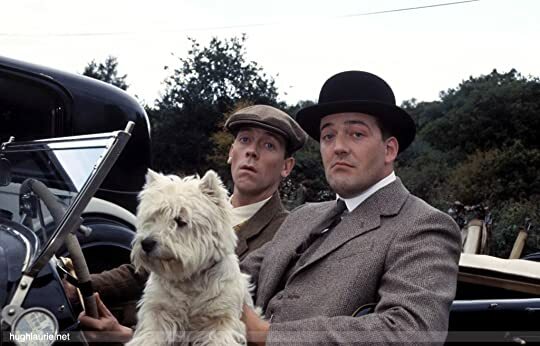 There have been numerous attempts to turn Wodehouse's work into tv shows and pretty much all have failed, at least on some level. The best attempt was a version of Jeeves & Wooster starring Hugh Laurie of "House" and his long time comedy partner, Stephen Fry. Fry's Jeeves is spot on. It's for this reason and many of his other great performances that I love this man and will watch or read anything by him. So, that leads us to Fry's English Delight a brainy series about the English language. Not exactly a riveting topic for most, but like I said, I'm a Frynatic. I'm also an avid reader and writer, which are really the only kind of people I could envision this series appealing to. Series 2 includes talk on jargon, elocution, accents, spelling, gibberish and more. Interesting topics with entertainment value. Well produced. Witty stuff from Fry as usual.